Hoverwatch is one of the leading mobile phone spy applications on the market. It gives users full, unfettered access to virtually all of the location, call and SMS data relevant to the use of a device. All it takes is a minute or two alone with the phone to covertly install the app. Once installed, the software is completely undetectable by the user. The Pro version of Hoverwatch cell phone tracker also includes call listening and microphone activation to record sound in the vicinity of the device. When you purchase Hoverwatch you are directed to a secure account creation page. Here you will create your new account with your personal username and password. This is the login information you will use to access the recorded data via your private control panel. Getting an update on the recent use of the device is as simple as logging in and accessing the data. Not only will you have access to specific call and text data, but you will also know the physical location of the device at all times. People keep their mobile devices with them at all times these days, so Hoverwatch keeps you apprised of every move the owner makes. It is no secret that children, spouses and employees often lie about where they are spending their time. With this new technology you will no longer have to wonder if you are being lied to you can simply login to your account and find out. This software is easy to use and puts an incredible amount of power in the hands of the user. Before this technology hit the market people had to pay private investigators hundreds or thousands of dollars to physically follow others around and document their activities. Now this can all be done with a simple piece of software. Standard Version: The standard version of the software comes with all of the above mentioned features with the exception of call listening and recording. It is currently being offered for $49.95. Pro Version: The Pro version is the ultimate spy app, as it allows users to listen in on all calls made and received. It also allows recording via the microphone on the mobile device. It sells for $84.95. 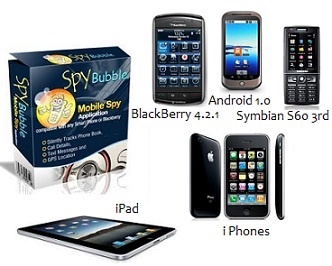 If you are in the market for mobile spy software, Hoverwatch mobile phone spy offers an impressive list of features at an affordable price. Why wonder what is going on when you are not around when you can find out with this revolutionary new program? Become a customer today and find out what your spouse, children or employees are up to when they think no one is listening.